Helps stabilize gut acidity levels and optimizes nutrient absorption. Great for breeding birds and can also benefit stressed birds. Helps with chick growth. Great for breeding or for use on stressed birds. Has proven to be beneficial for feather plucking birds. Short shelf life (normally 4-6 months). Add to water 5 ml per liter Do not use in the same drinking water as Aviclens. Supply these quantities once a week for non-breeders and daily for breeders. 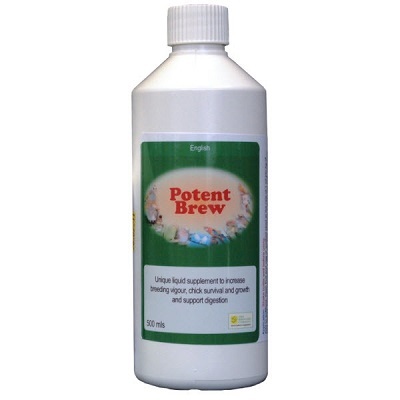 A unique liquid supplement to increase breeding vigor, chick survival and growth, and support digestion. Keep Refrigerated!